The hugely popular general knowledge podcast will touch down this September. It's one of the most popular podcasts in the world, and one that has educated listeners on topics from the inner workings of waterslides to the ingredients that make up Spam. Now, Stuff You Should Know is coming to New Zealand for the first time. Josh Clark and Chuck Bryant are the hosts of the research-based, general knowledge podcast. The pair became friends while working at HowStuffWorks.com and created the podcast as an attempt to repackage some of the website's most popular content. So far they've recorded episodes on everything from disco to the time when Nazis invaded Florida in WWII; wonky stuff like trickle-down economics and voter suppression; science-y topics like the sun, global warming, bioluminescence and willpower; and totally random topics you'd never think could be interesting, like grass, zoot suits and shotgun houses. 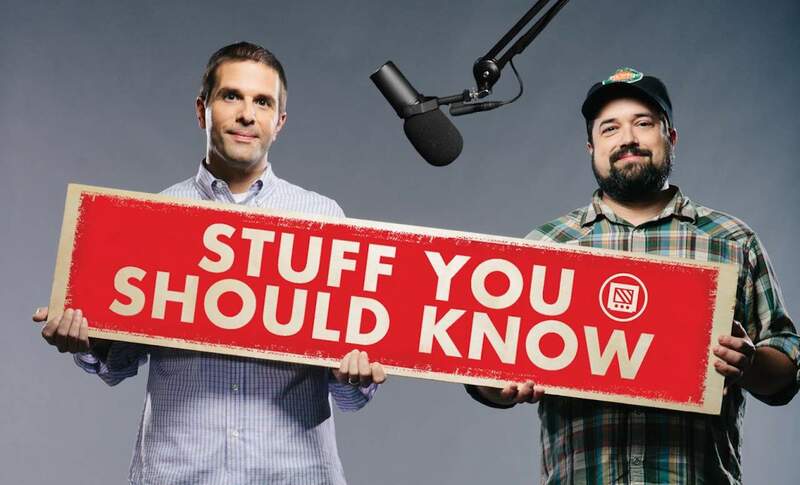 Since 2014, Josh and Chuck have taken the Stuff You Should Know live show on the road to cities across the US, Canada, the UK and Ireland. Like the podcast, the live experience bundles up learning with laughter. Expect to witness a never-heard-before episode unfold in real time.